Parents and everyone else who follows contemporary mainstream animation may very well be sick of movies that stress the importance of being oneself and the power of family, but the makers of “Kung Fu Panda 3” — like those clever chefs who get kids to eat their vegetables by hiding squash in the mac and cheese — package these lessons in so much wit and color that we barely notice their familiar flavor. 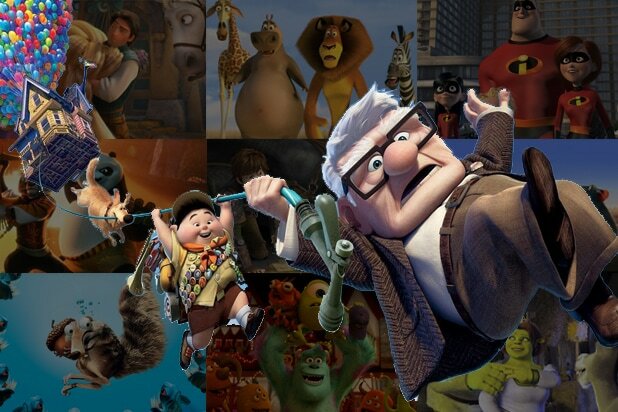 Between the witty screenplay (by returning writers Jonathan Aibel and Glenn Berger), delightful visuals that jump back and forth between 3-D and 2-D animation, and a consistently game voice cast, this third serving never feels like a dull retread or a lazy cash grab. This time around, we begin in the spirit world where ancient kung fu master (and turtle) Oogway (voiced by Randall Duk Kim) must battle evil bull Kai (J.K. Simmons), his former friend and student whom he defeated 500 years earlier. In the ensuing centuries, Kai has fought all the other masters in the spirit realm, capturing their ch’i, or energy force, into jade amulets that he can then manipulate against his enemies. After he overpowers and captures Oogway, Kai returns to the mortal plane to use his powers for evil. 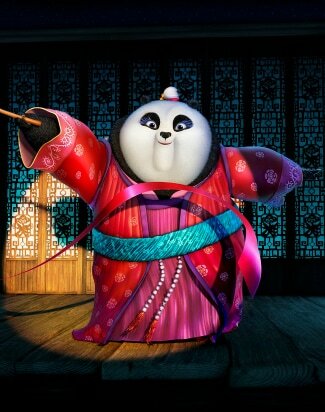 Meanwhile, master Shifu (Dustin Hoffman) informs panda Po (Jack Black) and the Furious Five (Angelina Jolie, Jackie Chan, Lucy Liu, Seth Rogen and David Cross) that he no longer has anything to teach them, and that Po must become an instructor of kung fu. As usual, Po bungles his first attempt, but he barely has time to contemplate this failure when his panda father Li (Bryan Cranston) suddenly appears, much to the consternation of Mr. Ping (James Hong), who has raised Po like a son. To defeat Kai, Po must become a master of ch’i, a discipline that he can learn only from his fellow pandas, so he follows Li back to a hidden, remote mountain village populated entirely by the roly-poly bears. Mr. Ping tags along, partly out of resentment over Li’s sudden appearance. Saving the day will involve not only Po’s realization of his true destiny — which lies within him rediscovering his innate panda-ness — but also teaching his fellow pandas kung fu by channeling their abilities such as rolling, eating, hugging and, in the case of Mei Mei (Kate Hudson), ribbon dancing. Directors Alessandro Carloni (a veteran DreamWorks Animation story artist) and Jennifer Yuh (“KFP 2”) keep the story moving along at a brisk clip without sacrificing story or character; it actually matters, for instance, that Mr. Ping feels usurped by the presence of Li, making their eventual reconciliation both dramatically satisfying and a celebration of fatherhood, both adoptive and biological. Meanwhile, we get delightful banter between the exuberant Black and the deadpan Hoffman, plus some wonderful non sequiturs from Rogen and Cross (who should team up in live action sometime). Also Read: Can the Hits of DreamWorks Animation's Past Power Its Future on YouTube? The visual references here run as fast and furious as the kung fu, from traditional Chinese calligraphy and painting to “Lost Horizon” (the panda’s secret mountaintop community recalls Shangri-La) and “Pom Poko” (a Studio Ghibli classic about another group of cute, furry animals who must become warriors). A special shout-out goes to the character animators behind Mei Mei, who give her the zaftig, come-hither eyes of veteran actress Mary Jo Catlett. 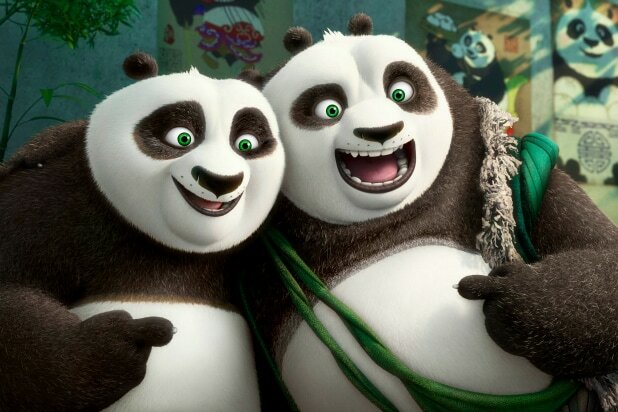 “Kung Fu Panda 3” is no game-changer, and it doesn’t pack the emotional punch of, say, “Toy Story 3,” but it’s charming and effervescent, and it makes its unlikely hero worthy of his mantle of Dragon Warrior. It’s cohesive and cathartic enough to make a fourth entry unnecessary, but at the same time, it’s entertaining and gorgeous enough to make the prospect of same something to welcome.